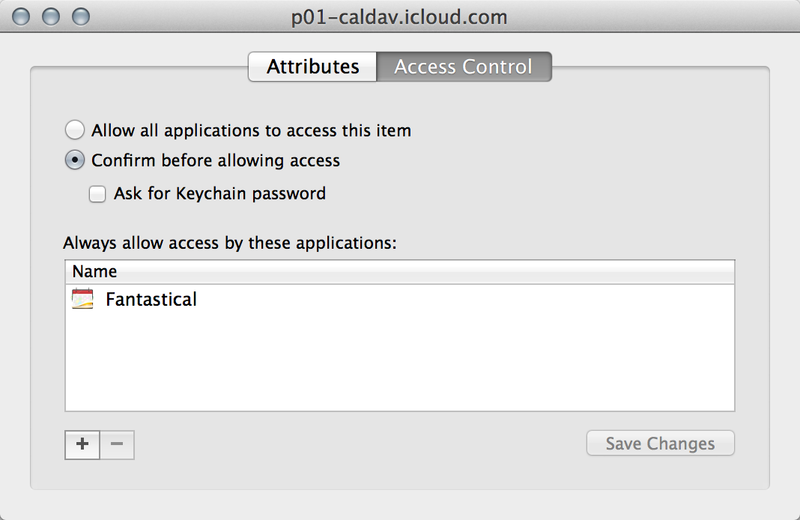 By mistake, I clicked on "always allow" on a file in my keychain on the Mac. How do I undo this and restrict access? I tried to correct it by clicking on Access Control. There I selected "confirm before allowing access" but it didn't work. I can still see the password for that file without entering a password. You should be able to clear out any white listed programs and then reset the default behavior from Keychain Access. Second, choose Confirm and Ask as needed. If this doesn't work, you might need to repair that keychain containing that item, also using Keychain Access menu to open the Keychain First Aid tool. Not the answer you're looking for? Browse other questions tagged macos keychain . How to prevent keychain passwords being seen with iPhone passcode?